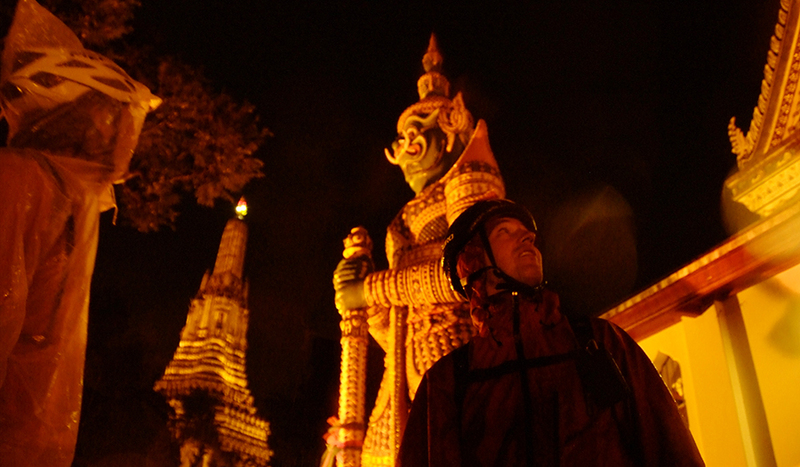 Join the first one and original night bicycle tour available in Thailand. This is a truely unique and alternative way to see Bangkok. Ride through quiet and safe back roads and small lane ways to visit ancient temples and the flower market after sunset. The historic centre of Bangkok is beautiful by night, with many temples spectacularly lit up. The temperatures are cooler and there are fewer cars, people and tourists. But most of all, the places you visit are somehow more magical at night, with many important places beautifully illuminated in the evening. We provide everything you need including a professional local tour guide and bikes with lights. If you are looking for a unique experience in Bangkok, this is the trip for you! Meet at the Velo Thailand Bike Shop near Khao San Rd at 6 pm. After a quick bike fitting and briefing we head out. 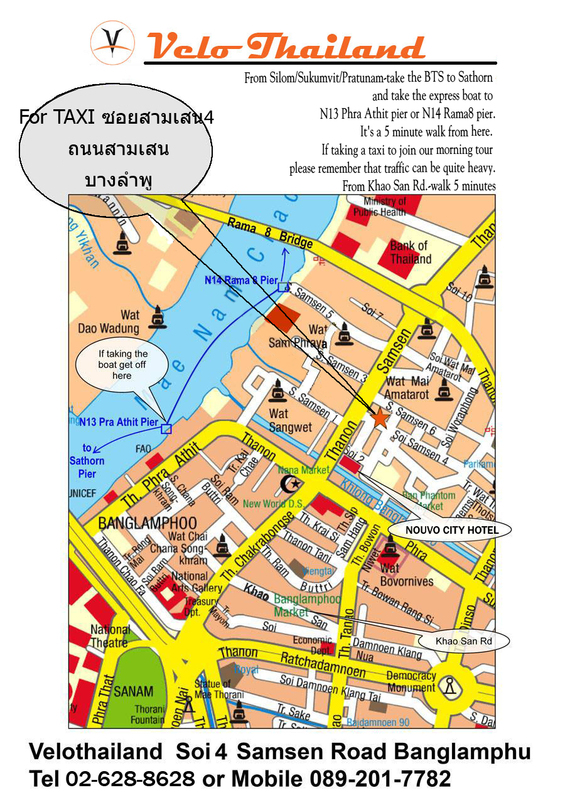 Staying off the roads we take you through the maze of Bangkok 's fascinating narrow sois (lanes) and back streets. Visit ancient and royal temples such as Wat Arun and Wat Po, which are regarded as the epitome of Bangkok Buddhist craft. Other interesting sites include one of Bangkok's most beautiful bridges, Flower Market and the Temple of Dawn.